JUUL is planning a TV campaign over the summer aimed at trying to persuade smokers to ‘make the switch’. Unfortunately, it might not be enough to rehabilitate the image of the company which should never have needed rehabilitating in the first place. The company stand accused by all and sundry of deliberately targeting teenagers with a ‘cool’ product delivering addictive nicotine in a range of sweet flavours. JUUL was also hauled over the coals in a typically snide article in The New York Times for not having population level public health interests front and centre of its ambition. Depending on use patterns and device operation, users of SOD devices may be exposed daily to similar levels of CO as are cigarette smokers. Y’see, they’ve tried this before with the infamous ‘Juice Monsters’ paper which, with the help of Clive Bates, I had a comment posted on PubMed (since removed), but the crux of the comment can be found here. QJ Satchell puts on a laboratory coat and enters the “cool room,” strolling towards a large machine in the corner that looks like something out of a space film. It’s a white, sterile environment that feels like a hospital. But QJ isn’t a scientist or a doctor. He’s the owner of a vape company, an occupation vastly different to what he was doing when he went into business with older brother Kayne six years ago. A new bill introduced in the Vermont House of Representatives would ban internet sales of electronic cigarettes. The bill was introduced Tuesday and referred to the House Committee on Human Services. The Rutland Herald reports the bill would prevent sales on all types of e-cigarettes unless the seller is a licensed wholesale dealer. The bill would also prohibit shipping these items to anyone in Vermont other than licensed wholesale dealers. For people to use e-cigarettes? A bill was introduced on Wednesday by Sen. Tom Shipley, a Republican from Adams County. The legislation, if passed and signed into law, would bump up the age from 18 to 21 for use and distribution of vapor products, otherwise known as e-cigarettes. The bill, Senate File 66, also has language that restricts the sale of vapor products in vending machines, giving away samples of vapor products to individuals below the age of 21 within a certain distance of a school or playground, and other restrictions. E-cigarettes and vaping products face an “existential threat” in the US if their use among young people continues to rise, the commissioner of the Food and Drug Administration (FDA) has warned. Scott Gottlieb spoke on Friday at a public hearing in Maryland focused on eliminating the use of “electronic cigarette and other tobacco product use” among American youth, at a time when the agency has threatened stores selling e-cigarettes to minors and seized thousands of documents from Juul Labs, the maker of a popular vaporising product, during a surprise inspection of the company’s corporate headquarters. The EU Commission has delayed a decision on taxing vapour products until 2019, as they couldn’t find enough data to justify the move. 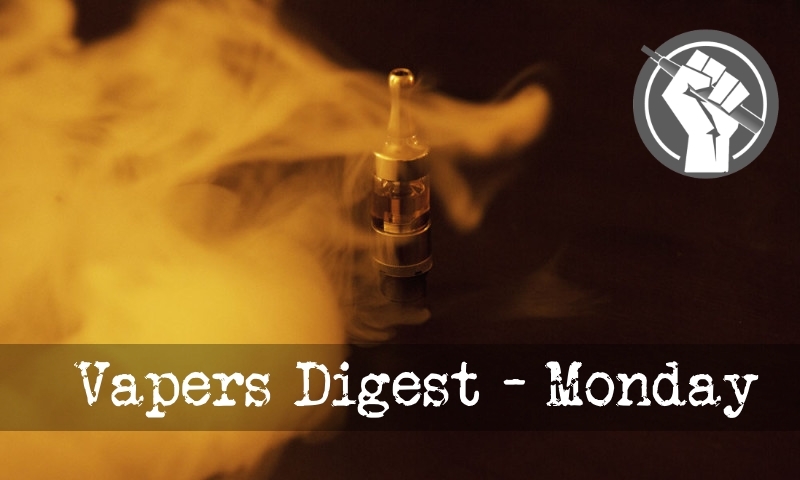 Meanwhile several groups around the world have spoken up against anti-vaping laws. A Tennessee politician is calling on the state to take a more enlightened approach to e-cigarettes, while a Filipino group is calling on an influential medical association to drop its opposition to harm reduction and CASAA have fired a damaging shot at the CDC. Next Thursday, on the 25th of January, the New Nicotine Alliance (NNA), will be at the European Court of Justice in Luxembourg, fighting the current EU snus ban alongside public health experts and consumers of reduced risk nicotine products. The case against the ban on snus was originally put forward by the Swedish Match. Then, around this time last year, the NNA had appealed to the High Court in London, asking “for permission to act as an independent intervenor in the Swedish Match application to challenge the ban on snus”. Small-town mentalities are running amok as school principals become hysterical in their approach to vaping. After a week of seemingly coordinated media stories, other school administrations are being coerced into making rash judgements and daft decisions regarding harm reduction. Nobody want to see children vaping, certainly not in schools, but it is a sad fact of life that some will experiment with tobacco – as all of the generations before them have done.